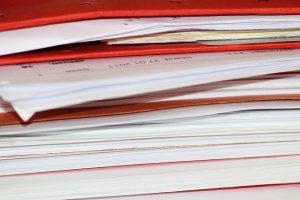 So, if you’re reading this, you’re probably already savvy to the multiple well-documented (no pun intended) benefits there are to paperless fax services. You save time, energy, trees, and a whole lot more when you join the future and invest in this brilliant new form of document transmission. Even when you know why you want to invest in paperless faxing, it pays to know exactly what separates the decent options from the great options that can truly do your business justice. The following are some of the most important qualities to keep in mind to make sure that you make the right choice in paperless faxing service. Faxing service providers know that no solution can be a one-size-fits-all resource for everyone who needs them, and so they offer multiple pricing plan accommodations. Some faxing services might include a higher net total of faxes per month for a lower price, so keep this in mind when you’re comparing your options. We’re connected to more devices these days than a single humming computer anchored to the desk, and top faxing service providers understand this well enough to design their solutions accordingly. Certain fax services are more versatile than others when it comes to the mobile devices that they can be connected to, so make sure that the one you choose fits your connectivity needs. Though faxing services may not give you an indefinite number of faxes without costs, there are some that offer toll-free numbers as an added benefit. If you have a business that’s heavily tied to your residential area, you might find a faxing service that offers locally dedicated numbers to be especially useful. Keeping the above qualities in mind gives you a nice starting point for considering what the smartest choice in a faxing service may be for your unique needs, but there’s always room to learn a bit more. If you want to learn more fine details about the most reliable paperless faxing services, feel free to contact us at Afax and we’ll be happy to answer questions that you may have. Learn More About Our #1 Pick For Faxing Online! Matt Gerchow is an author, marketer, inventor, husband, father and yoga enthusiast. He enjoys travel to distant lands , fine wine, time with his family and dinner with friends.